This is a spin off of my S.T.E.M. activity for The Three Little Pigs. I am currently teaching reading to 3 Kindergarten classes, so I wanted to include my S.T.E.M. activity when we were reading about The Three Little Pigs....but I needed to change it and make it much more literacy oriented. 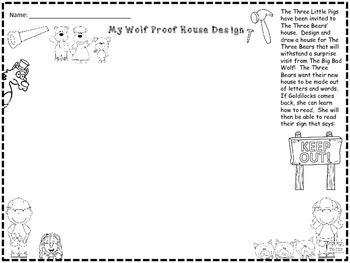 We were also reading about Goldilocks And The Three Bears, so I combined the two stories into one activity. 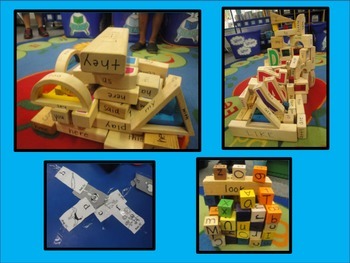 For this activity, you will need to write sight words and letters onto classroom blocks as shown. You will also need to have paper alphabet cards and sight words. 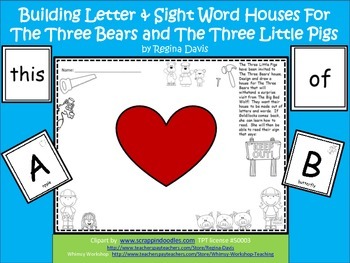 I used paper sight words and letter cards that pertain to my school's reading series.....but I included simple sight word cards and alphabet cards that you can use for this activity. Please download the free preview as it contains the product in its entirety (minus the black lines). The download will be clearer than the free preview. The only addition that you will receive are the additional sight word cards (42 words), and the additional alphabet cards (some have pictures, some have pictures and words, and some just have the letters). 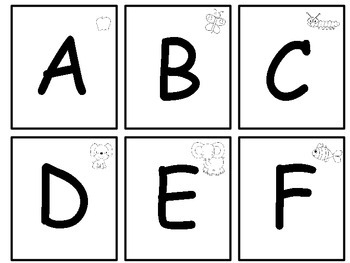 If you already have your own type of alphabet letters and sight words, then YOU WILL ONLY USE 1 PAGE OF THIS DOWNLOAD for this activity (make sure to have blocks that have words and letters on them).